Your eating and sleeping pattern regulates the amount of calories you burn. Washington D.C: Did you know! Your eating and sleeping pattern regulates the amount of calories you burn. Researchers found that when at rest, people burn 10 percent more calories in the late afternoon and early evening than in the early morning hours. The findings have been published in the journal Current Biology. They reinforce the important role of the circadian clock in governing metabolism. They also help to explain why irregularities in eating and sleeping schedules due to shift work or other factors may make people more likely to gain weight. "The fact that doing the same thing at one time of day burned so many more calories than doing the same thing at a different time of day surprised us," said lead author Kirsi-Marja Zitting of Harvard Medical School. To determine changes over the course of the day in metabolism apart from the effects of activity, sleep-wake cycle, and diet , the researchers studied seven people in a special laboratory without any clues about what time it was outside. There were no clocks, windows, phones, or Internet. Study participants had assigned times to go to bed and wake up. Each night, those times were adjusted four hours later, the equivalent of traveling westward across four time zones each day for three weeks. "Because they were doing the equivalent of circling the globe every week, their body's internal clock could not keep up, and so it oscillated at its own pace," co-author Jeanne Duffy explained. 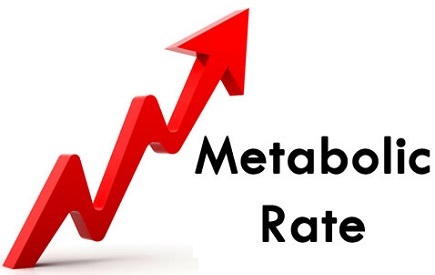 "This allowed us to measure metabolic rate at all different biological times of day." The researchers found that participants' respiratory quotient, which reflects macronutrient utilisation, varies by circadian phase, too. This measure was lowest in the evening and highest in the biological morning. The findings offer the first characterisation of a circadian profile in fasted resting energy expenditure and fasted respiratory quotient, decoupled from effects of activity, sleep-wake cycle, and diet in humans, the researchers said.